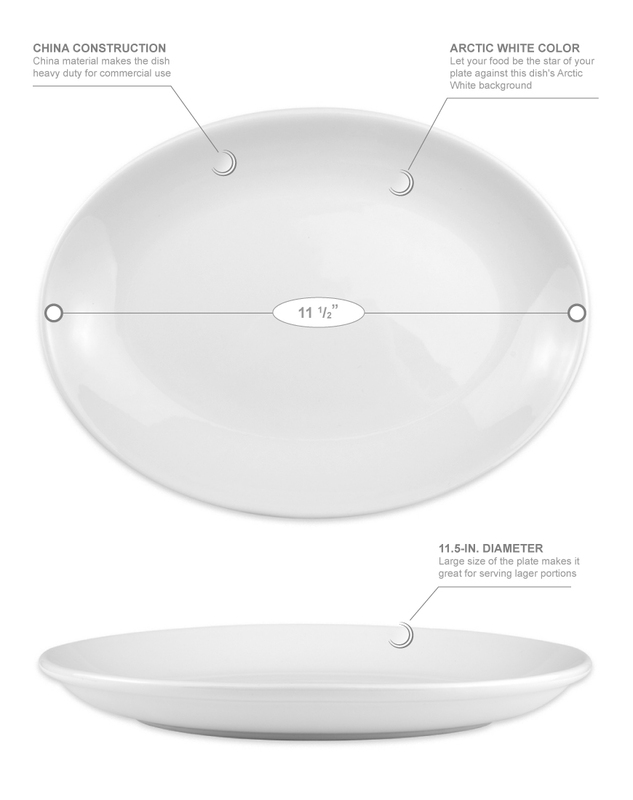 The Homer Laughlin 31310000 oval platter has rolled edges that help reduce the risk of chipping. 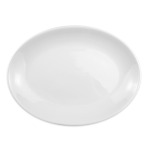 Made of china, the plate's surface resists scratching and is heavy duty for commercial use. The large 111⁄2-inch diameter makes serving large meals, like prime rib dinners and surf ‘n’ turf platters, easier. Your food will easily stand out and be the focal point of the meal since the Homer Laughlin 31310000 oval platter comes with in arctic white.